EUTHANASIA, ETHICS AND PUBLIC POLICY: An Argument Against Legalisation. 2nd ed. 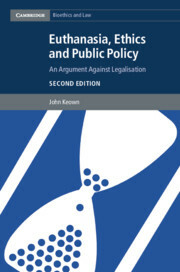 This is the latest addition to John Keown’s library of excellent books to do with euthanasia — Euthanasia Examined (Cambridge, 1995), Euthanasia, Ethics and Public Policy (Cambridge, 2002), Debating Euthanasia (Hart, 2012), and The Law and Ethics of Medicine (Oxford, 2012). Perhaps because a lot has happened in the 16 years since the first edition, I thought this latest was the best. The book starts with a section on definitions, the clarity (or obfuscation) of which are very important in the debate. Part II outlines the three main arguments for permitting euthanasia and physician-assisted dying (PAD), together with the counter-arguments. 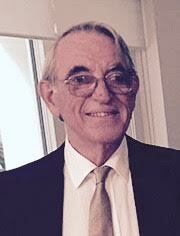 His descriptions of the moral issues are clear and the legal matters interesting. Following which there are sections on slippery slopes, both ‘empirical’ and ‘logical.’ Part III explores the Dutch experience in detail, following with sections on Belgium, the (Australian) Northern Territory, Oregon, and Canada. In the sections on the Netherlands and Belgium, Keown explains how laws that were insufficiently precise or strict were inevitably stretched, and that there has been unrelenting progression toward euthanasia being ‘normalized’ — euthanasia has become just another option, perhaps even the default one, and has progressed from an exceptional act to a legal right. He quotes Belgian Professor Etienne Montero: ‘Indications for euthanasia are constantly multiplying, despite the legislators’ initial statements and intentions.’ He carefully and logically dismantles the defence of Dutch euthanasia by both John Griffiths and Gerrit Kisma, in particular regarding the effectiveness of the regulatory system. I was interested to read about Theo Boer — the Professor of Health Care Ethics who was previously pro-euthanasia and served on a Regional Euthanasia Review Committee from 2005 to 2014 — who has now become a leading critic of the system. Boer has published figures showing the suicide rates in the Netherlands are the fastest growing when compared to surrounding European countries, most of which lack the option of euthanasia, and that the big increase from 2007 to 2015 occurred during the time when euthanasia had become more accessible. The review of Oregon policy confirms there is no effective regulatory system in place and Keown believes it is only a matter of time before euthanasia by injection is condoned. Canada, or at least the Canadian Supreme Court, does not get good press. Keown details a list of ‘judicial errors’ and claims ‘the judgement of the Canadian Supreme Court was gravely flawed.’ He asserts that ‘disturbing and well-documented evidence, including that of Professor Montero showing the Belgians skiing past the Dutch down euthanasia’s slippery slope, was waved aside.’ He also criticizes the use of what he calls fuzzy criteria (e.g., ‘grievous and irremediable medical condition’ and, my choice, ‘their death has become reasonably foreseeable’). And the attempted prohibition of conscientious objection in Canada is ominous. Whilst I believe that religious freedoms are preserved under Canada’s Charter of Rights, the College of Physicians and Surgeons of Ontario has decreed that if a doctor is unwilling to perform euthanasia or PAD, they must provide an ‘effective referral’ to a doctor who will, i.e., the College does not consider providing the patient with an ‘effective referral’ as assisting in the provision of medical assistance in dying. Reading the descriptions in this book, one is repeatedly reminded of the rising swell of public support for assisted dying, which Rodney Syme (Time to Die, MUP, 2017) refers to as ‘The Momentum,’ that unquestionably necessitates legislation. Polls show 70% (or thereabouts) of ordinary people support legalisation. Polls of people who are terminally ill show that about 70% support legalisation, but less than 10% would request it for themselves if it were legal. And the Oregon experiment? There are about 7,500 deaths from cancer each year, or about 150,000 since the Death with Dignity Act (DWDA) was enacted. Given that 35% of the adult population voted in favour of the DWDA, that should have resulted in 52,500 assisted deaths from cancer alone. Of the 1,275 patients to 2017, 68% (867) had cancer. Which means only 1.6% of patients dying of cancer, many of whom presumably voted in favour of the DWDA, chose an assisted death. Seems to me the clinical ‘need’ and public ‘demand’ are much exaggerated. This book is the best collection of information regarding euthanasia that I have seen and it is strongly recommended if you have any interest in the euthanasia and assisted-dying debate. John Keown holds the Rose F. Kennedy Chair in the Kennedy Institute of Ethics at Georgetown University, in Washington, DC. 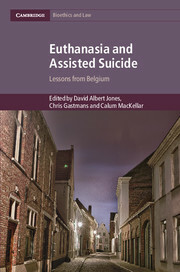 This volume aims to provide an overview of Belgian euthanasia, including the legal, philosophical, bioethical, and clinical aspects. As far as the system is concerned, we are told that the law is reasonably strict, but it cannot be regulated or policed. The system relies on self-reporting, and only about 50% of cases are reported. There is a second consultation, but there is no legal requirement for unanimity of opinion. There are currently calls to legalise life-ending without request. The Belgian data show a continuing rise in the number of patients having euthanasia each year, and the indications have been increased to include the psychiatrically ill and patients with non-terminal conditions. In the words of one commentator, ‘The indications for euthanasia are constantly multiplying, despite the legislators’ initial statements and intentions.’ Professors Sigrid Sterckx and Kasper Raus report that continuous sedation until death (CSD) is used where there is personal, family, or institutional reluctance regarding euthanasia. It is also noted that CSD was initiated without consent or request, either of the patient or of the family, in 28% of cases. A more sinister aspect of Belgian euthanasia is that in just 12 years, it has gone from an exceptional act to the norm (the ‘normalization’ of euthanasia); then it became a right — there is information in official documents and in the media regarding a ‘right to euthanasia.’ Following which, supply creates demand. I crashed when I came to the chapter on palliative care. I knew the Belgians believed that euthanasia was an integral part of palliative care, but I was surprised when I was told that the caring practice of ‘euthanasia accompaniment’ (euthanasiebegeleiding) is now part of the daily work of palliative care professionals. They went on to say that whilst palliative care professionals had originally been opposed to euthanasia, over time they came to appreciate its advantages, ‘which convinced palliative care professionals that euthanasia could be part of genuinely good care.’ And they stated that ‘palliative care was not harmed but strengthened’ by the introduction of euthanasia. They cite the 2014 review of the integrated Belgian model of palliative care (one co-author of which was Dr. Wim Distelmans, a strong proponent of euthanasia), as giving Belgium a guiding role for the rest of the world. I struggled with the chapter on euthanasia for children. The author went to lengths to tell me what a monumental amount of work and thought had gone into this. I noted that the criteria quoted for psychosocial development were dated 1968, and those for cognitive operations 1971. The neuroimaging stuff is unconvincing and I think it will be a number of years before fMRI (or anything else) will be able to tell you if a particular child has a clear concept of dying and death. Given that a child must have insight into dying and death in order to be considered for euthanasia, I found the statement about children with serious illness sensing their own mortality and therefore having a sense of death, quite sinister. It’s a bit like saying: This child is going to die, therefore he has good insight into dying and death. The discussions about managing patients with psychiatric disorders left me confused. On the one hand they talk about the difficulty differentiating ‘between a death wish that is merely a symptom of depression, and one that can be canonised as an expression of free will.’ Dr. Distelmans believes that such distinction can be performed in an objective manner. But I wondered if it mattered, as they said they adhere to the directive of the Dutch Association of Psychiatrists ‘that stipulates that in cases of chronic depression, a wish to die can become durable and should be considered the expression of the well-considered rational choice of the patient.’ Dr. Distelmans, co-chair of the Federal Control and Evaluation Commission on Euthanasia, conducted a three-day tour to the Nazi death camp, Auschwitz, which he described in the brochure as ‘an inspiring venue for organizing a seminar and reflecting on these issues’ of euthanasia. There was an undertone of arrogance and insensitivity that I did not like. In 2017, University of Antwerp philosophy Professor Willem Lemmens asked why ‘none of the pro-euthanasia experts ever seems to consider the possibility that there might be something wrong with a law that creates such emotional and existential havoc.’ He notes that when there was a public outcry by some (adult) children who had not been informed prior to their parents’ euthanasia, two euthanasia experts publicly declared them to have ‘pathological mourning’ and to be in need of psychiatric care. This book provides a very thought-provoking look at what has gone on in Belgium, with an appropriate variety of perspectives and opinions. If you have an interest in the assisted dying debate, this is important reading. The three editors work in the bioethics field in the UK. And what do I think about the Belgian euthanasia experiment? Nothing good. 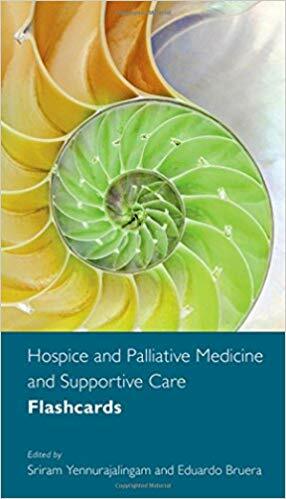 This is a comprehensive, evidence-based book of flashcards that will be of great use to anybody studying (or practising) palliative care. It is written in a clinical scenario/vignette, question-and-answer format, organized into 40 chapters according to the symptom or disease. Answers come with a short explanation and references. I was impressed by the breadth of coverage. I saw only one chapter specific to health administration in the USA, and think this book will be just as valuable to people outside the USA. Many people know that music can be a meaningful way to connect, but they don’t know where to begin. These booklets are designed to facilitate engaging with one another using musical associations as part of a supportive relationship. They will help start conversations as well as promote reminiscence and review. 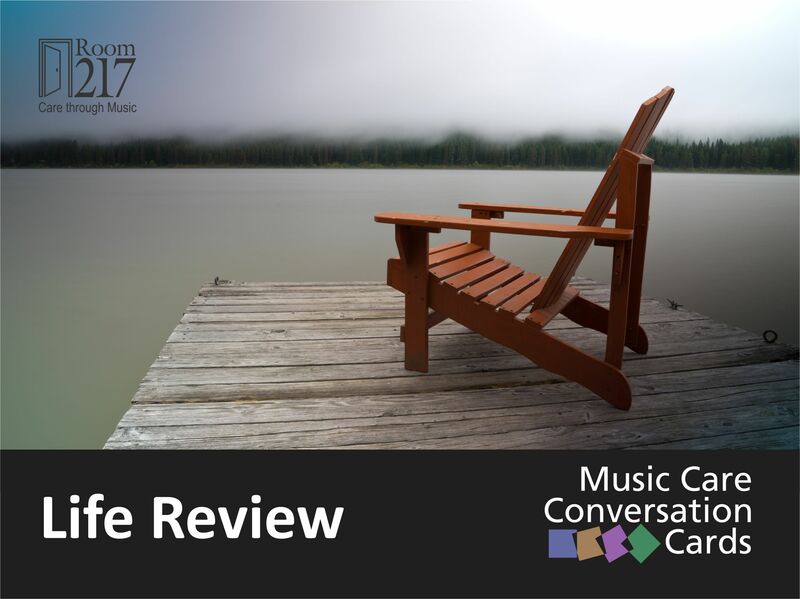 In the case of Life Review, it may help with matters to do with advance care planning, unfinished business, and legacies. There are reflections on coming to terms, and how it is better to talk to your loved ones early, when you are still able to talk sensibly, and to avoid being ‘besieged at the last hour.’ He talks about death in many ways; he also talks to death. There are memories about the early, untimely deaths of Princess Di and racecar driver Ayrton Senna. And the difficulties of being mortally sick, but not knowing when the end might come. 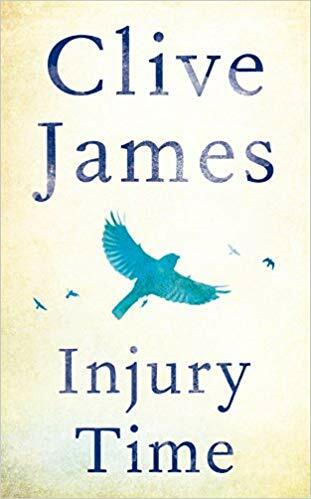 He speaks of poets who talk double Dutch, but I found James’ writing clear, and both understandable and enjoyable. If you work in palliative care and have a liking for poetry, you may enjoy these poems. There’s nothing radically different from what we know as palliative care, but it is beautifully expressed. When you shop through AmazonSmile, Amazon donates 0.5% of eligible purchases to IAHPC at no additional cost to you. You will find the exact same low prices and selection as Amazon.com while supporting IAHPC in its mission to advance hospice and palliative care globally. If you have an account, click on ‘your account’ and go to ‘your AmazonSmile.’ Select International Association on Hospice and Palliative Care as your charity. If not, go to smile.amazon.com to sign up. Then type International Association on Hospice and Palliative Care in the search bar, then select it as your charity.